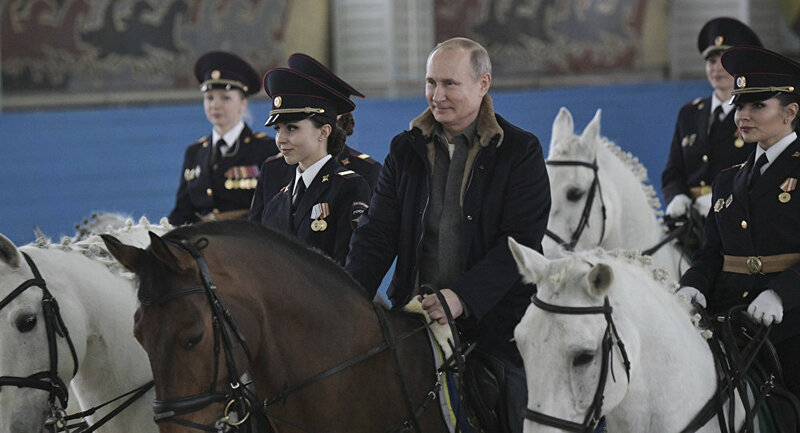 Russian President Vladimir Putin joined female police officers from the 1st Operational Regiment in Moscow on Thursday to congratulate them on the upcoming holiday, mounting his steed and taking it for a ride along with other officers in the police stable arena. Presenting the Regiment with an Orlov Trotter, a famous Russian horse breed, Putin spoke to the policewomen about the importance of finding a good man. "As the joke goes: What does a woman need to stay in shape? Three things — a trainer, a masseur and a suitor. You have such great guys here who could easily meet all three of these requirements. The second and third for sure!" Putin said. In return, officers presented the president with a horseshoe on a plaque for luck. 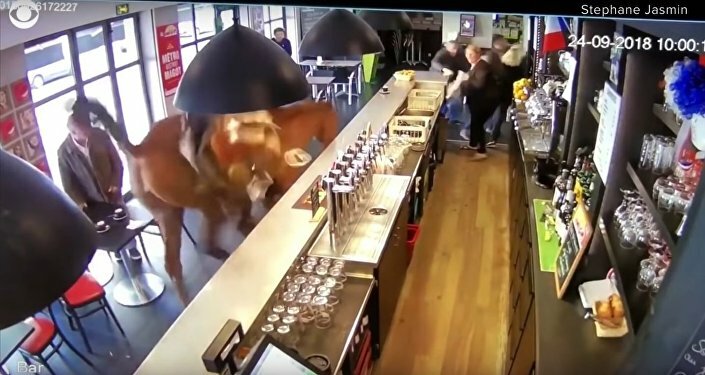 Moscow's First Operational Regiment consists of two cavalry units and a special unit serving as part of the tourist police, an English-language force designed to help tourists in the Russian capital. The regiment has 857 officers, 270 of them members of the equestrian units. The mounted unit, which ensures safety during public events and patrols Moscow's parks, has a complement of 198 horses. People around the world will celebrate International Women's Day on Friday March 8, with the annual holiday serving as one of the most important public holidays in Russia, rivalling New Year's, Easter, Victory Day, and Defender of the Fatherland Day.